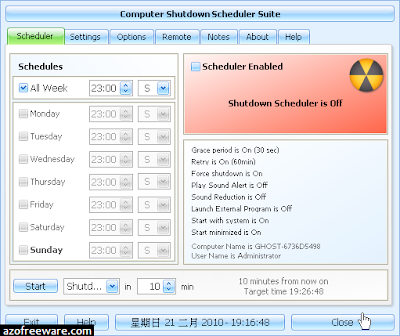 This software allows you to automize your computer's shutdowns or restarts. You can specify times by day or by week. 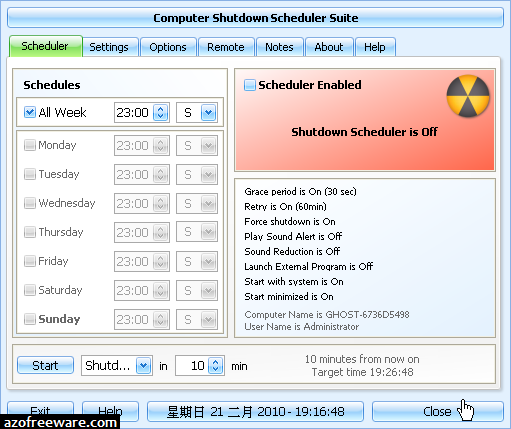 There are a lot of other useful features and options in this software.